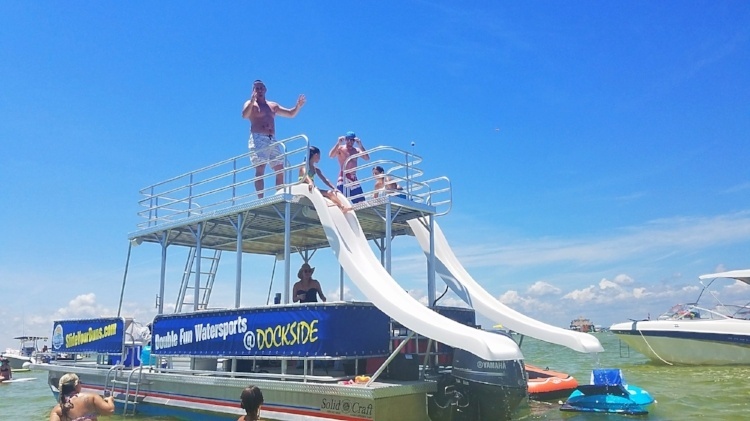 Book a full-day or half-day 20-passenger double-decker pontoon boat with 2 waterslides. Drive a Little - Save a Lot! Book a full-day or half-day 16-passenger double-decker pontoon boat with 2 waterslides.